Victoria Johnson, Farriah’s mom, shared the following story with the Ronald McDonald House. When we realized we would have to make the 2+ hour drive to Children’s of Alabama for Farriah’s multiple surgeries, countless therapy sessions, and constant doctor appointments… we were left in disbelief. It seemed impossible. How were we going to do this? Where would we stay… in the waiting room?… in my car? How can we afford this? Money was already tight, stress was high, but when I looked at my daughter, Farriah, I knew we would stop at nothing to get her the best care possible. Farriah was born with club feet, club hands and a dislocated knee, but also the cutest smile you will ever see. 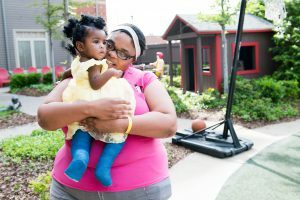 She’s only two years old, but we have already stayed at the Ronald McDonald House in Birmingham over ten times. We’ve also been on the waiting list a dozen times. There are still surgeries, treatments and therapies for us in the future, all in Birmingham. Our goal is to get her walking, but after three surgeries, multiple castings and a lot of therapy, that goal is still just that – a goal. 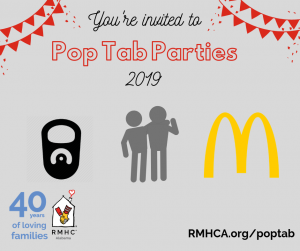 We live in Livingston, Alabama, but thanks to the Ronald McDonald House, we were able to stay close to her doctors, therapists and ultimately, close to healing. We’ve found hope in being together. Being around others with similar problems reduced the feelings of being alone. Without the Ronald McDonald House, I am not sure where we would be. Because of the House, we can stay close to each other and close to where Farriah is learning to walk.